Shelby Cheyenne is a 19 year old Blues musician and multi-instrumentalist. 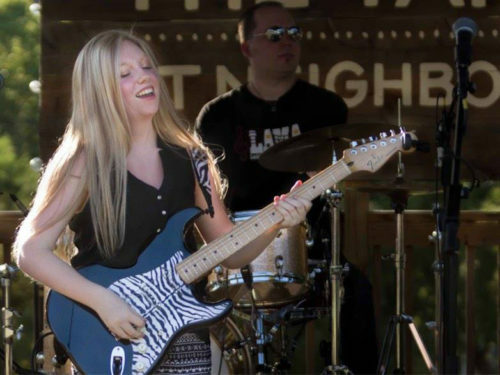 She began playing the electric guitar at age eleven. She fell in love with Stevie Ray Vaughan and Double Trouble, so much so that she convinced her parents to move from Knoxville Tn. to the live music capital of the world, Austin Tx. The past year has been a busy year for Shelby Cheyenne. She graduated high school, played at an official SXSW showcase at the historic Stephen F. Austin Hotel, and performed at the San Antonio Fiesta Blues Heritage Series. She is looking forward to all the year has to bring.